One of the first things I check when analyzing a player’s database is how they are calling in poker. Many players leak significantly when calling open-raises preflop, yet alone steals and 3bets. 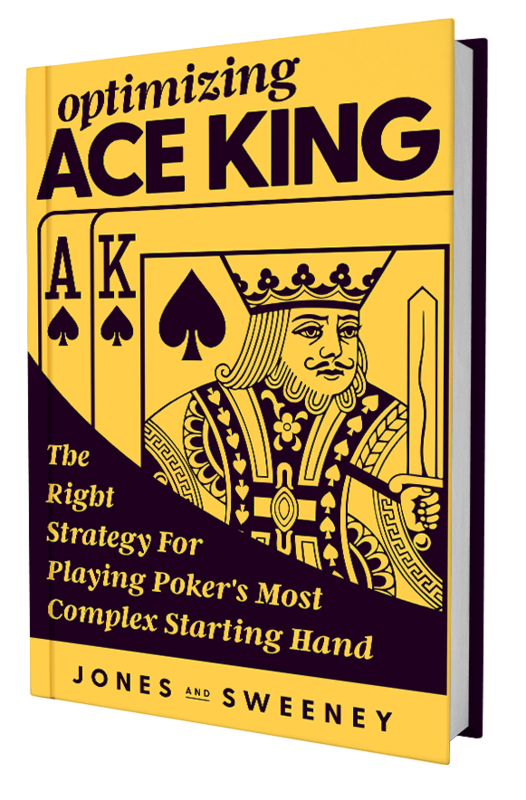 In this article I’m going to walk you through analyzing your own preflop calls (primarily 2bets) as well as give some simple guidelines for improving this vital skill. So feel free to open up your database and follow along…or just skip down below! Call Steal: Anytime hero called a 2bet from the CO-SB, aka a steal. However, at this time it only looks at hands from the blinds. If this is your first time looking at this kind of thing you likely won’t know if your stats look good or bad. The thing to remember is that these stats are relative to your game, style, skills, etc. 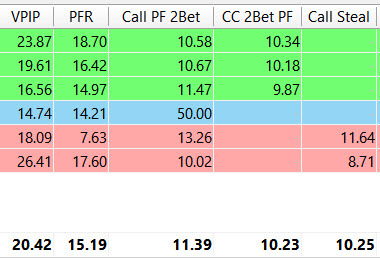 Most players tend to leak if they call 2bets more than 15% of the time, and I see most winning players with call 2bet stats between 4% and 11%. But with that being said, I’ve seen players with losing calls at 5%, 8%, 10%, etc. So regardless of your exact numbers here you will want to dig in deeper and see how you perform with certain parts of range. So start by analyzing your winrates when calling preflop raises with hands like 22-66, 77-99, TT, JJ, AJ/KQ, suited connectors, junk, etc. Your sample size will certainly test the usefulness of some of these filters. For instance, if you play 50k hands you may only have 200 hands where you called with 22-66, and obviously even less when calling with a specific hand like 76s. 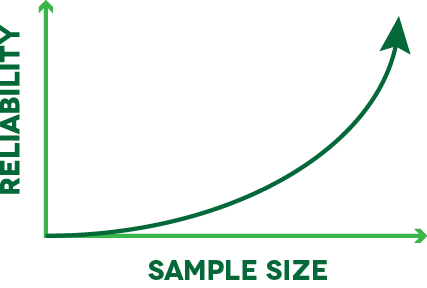 The bigger your sample, the more reliable the results will be. The smaller your sample, the bigger grain of salt you will want to take before making any strategic adjustments. 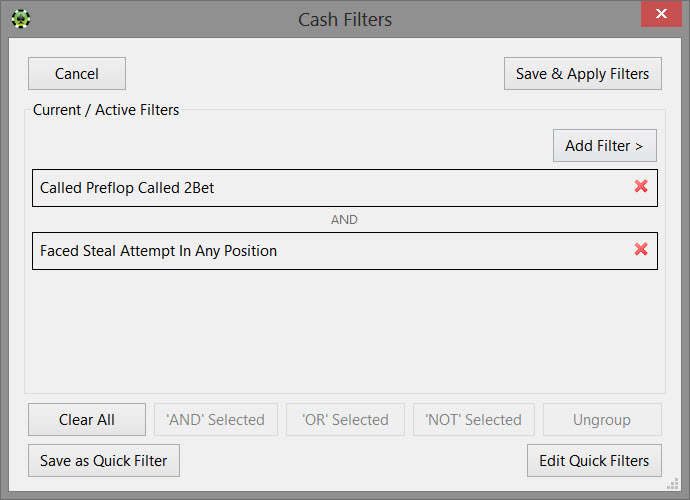 However, if you are finding a ton of red when running these filters it really hints that you may be calling too many preflop raises (or that you have a sizable postflop issue). To dig even deeper it’s best to spend some time studying hand histories that are brought up. Look at your setmines and make sure they were made in correct spots. Check out your suited connector calls…are you IP or OOP? Are stack sizes deep enough? Did you check out the players left to act? Look at your calls with hands like AQ, AJ, and KQ. Could you have 3bet instead? Remember, a big reason why you analyze your database is to find hands you may have otherwise glossed over and to re-analyze them. 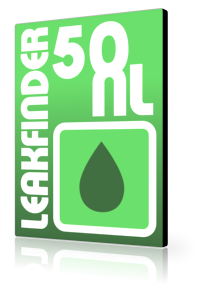 Find leak areas, fix leak areas, and win more money in the longrun! Most players are negative but what you need to do is compare your winrate versus folding each time. Had you folded all of these you would be -100bb/100 from the BB and -50bb/100 from the SB. So if you are performing better than that (such as -80bb/100 from the BB and -39bb/100 from the SB) you are performing better than just folding each time. Now you would still want to drill down and see how you are performing with different ranges types…and again…keep sample size in mind before making huge strategic adjustments. But if you are -400bb/100 calling junk hands…chances are you can stop doing that right away and look to either fold or resteal instead. What will the SPR be if you call? Who’s left to act you do call the raise? If you call will the pot likely go HU or MW? Is that good or bad for your hand? If you call will you likely face any bluff squeezes? What is your plan if you face one? Will you be IP or OOP if you call? Are stacks deep enough to call with an implied odds hand? What did the opener likely raise with? Are there lots of IO or RIO against that range? Would 3betting as a semi-bluff be more valuable? When applicable, what do you represent by calling? Do you have a postflop plan if you call? How often does your hand smash v hit v miss the flop? Like I said, there are other things to consider, but this list will get you in the right direction more often than not. These questions are part of building a solid mental checklist of sorts that can help you figure out correct lines and rid of leaks more easily. Remember, constantly check your own database and learn from hands you’ve played before. Keep sample size in mind and make sure to go through actual hand histories when studying. And lastly, make sure you know what goes into a +EV preflop call. By asking yourself and answering the questions listed above you can quickly find spots where either a fold or 3bet are better…and overtime it will become an automatic reaction when facing an open-raise!